11 Reviews for Mid-Atlantic Door Group, Inc. Excellent service and extremely responsive and courteous staff! We have been using this company for number of years and will highly recommend them. Prompt, listen to my concerns and addressed the issue. I appreciated that they sent someone that proved to be knowledgeable in his profession! Comment from Mid-Atlantic Door Group, Inc. Thank you for taking the time to leave a review. 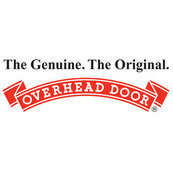 The team here at Overhead Door is thrilled to hear such great feedback! Should you have any garage door needs in the future, please let us know! Relationship: i do not need additional work done at this time.